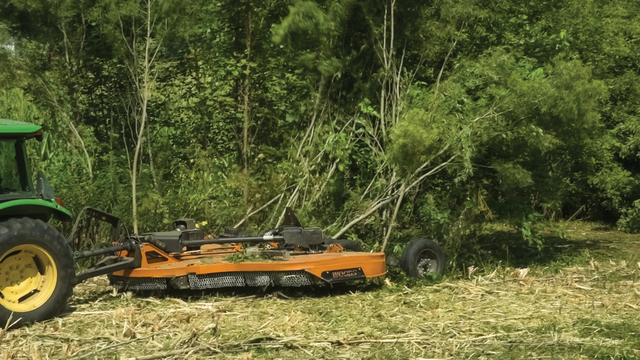 More than 50 years ago, Woods introduced the original flexwing rotary cutter, the Batwing. Today, Woods introduces the next generation of Batwing: the new 15-foot series of flexwing cutters. 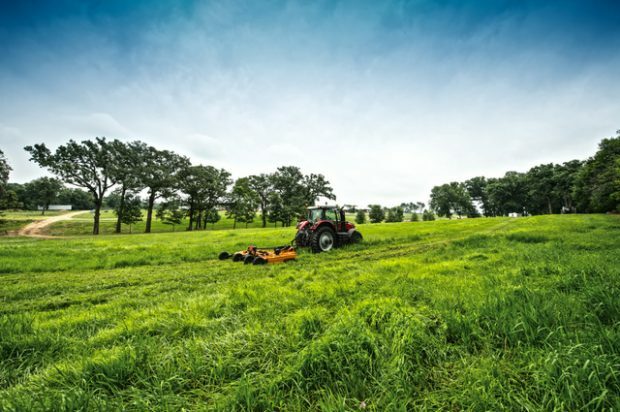 The new design is based on more than 60 hours of extensive research with the operators who mow with them and the dealers who sell and service them. Woods created machines that are more reliable, more durable, easier to use, easier to maintain and built to perform better. The design focuses on giving the end users what they want and need. The new Batwing has many features that make it the most durable in the field. Steel tubes surround the perimeter to absorb shock, and chain shielding included within the frame prevents damage. The machine’s beefy, heavy-duty skid shoes prevent gouging and protect the deck from damage, which increases its durability. The .60 and .70 models feature a 3-inch gearbox output shaft, and an optional deck ring, for added toughness in extreme conditions. All three models are built to make maintenance easier. Grease fittings are easy to reach and a smooth, sloped deck is free of components for easy clean up. Exclusive features include durable metal construction on all shields, hose covers that protect from wear and damage, and greasable Quick-Change blade pins. Woods developed a new patent-pending driveline lift assist system which comes standard on all models. Connecting the Batwing to a tractor’s PTO is quick and easy with a locking feature and rolling mechanism. Users will see less leaks and downtime due to new gearbox seal technology through advanced engineering and material specifically developed for heavy-duty jobs in harsh environments. The industry leading six-year warranty covers not just the gearbox but also the seals. In addition, only the Woods Batwing has rounded wings that slice through brush, and a curved leading edge that easily moves close to trees and poles. The positioning of welded baffles improves airflow for more even cutting and directs the cut material for superior distribution. The optional shredding kit on the 15.60 and 15.70 adds two blades to clear stalks and increase performance. To learn more about Woods, click this link. Really, what else are you doing?